Out iPad Case Keyboard Buying Guide will give you the most important factors to take into account when choosing an iPad keyboard case. 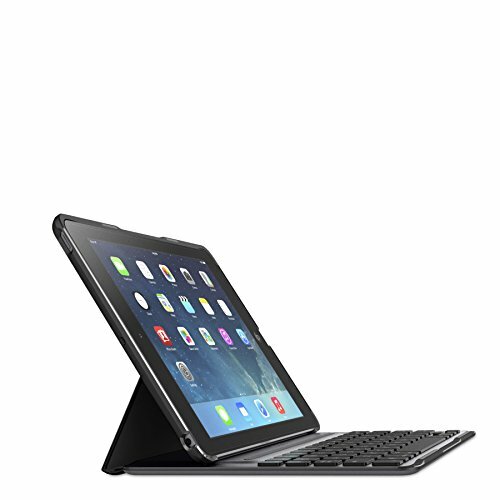 Once you know what to look for, be sure to read some of the reviews to help you find the Best iPad Case Keyboard. The layout of the keyboard is one of the most important factors in your typing experience. Since iPad keyboards are smaller than full size keyboards, the number and the location of the keys can vary. Does the keyboard have a standard layout, or a non-standard layout? Does it have a full set of rows, or are some rows combined requiring a function key to activate? Are the most common keys in their standard position, or have some been moved elsewhere? Always make sure that you view a full image of the keyboard so that you can see exactly where all the keys are. The size, spacing, and quality of the keys are also an important factor when choosing an iPad keyboard. Are the keys big enough, and spaced far enough apart so that you can type fast and efficiently? How do the keys feel, and do they offer good feedback? Are the keys mechanical keys, or the lower quality membrane keys? How well does the case protect your iPad? Some iPad cases offer great protection, but at the cost of extra weight and bulk. Other cases offer less protection, but make up for it by being much thinner and lighter. Does the iPad automatically wake and sleep when the cover is opened or closed? Does the keyboard automatically wake and sleep with the cover? Or do you manually have to power on and off the keyboard? How long does it take the keyboard to wake up – is it instant or do you need to wait? How easy is it to use your iPad when the keyboard is not in use? Some iPad cases specifically design for this, and provide an elegant method to use your iPad with the keyboard out of the way. With other iPad cases, the keyboard can really get in the way of your normal iPad use. Make sure you view the case in tablet mode so you can judge how easy it is to use when the keyboard is not needed. Is it stable is the case when typing? How easy is it to remove the keyboard from the case? Does the keyboard have back lighting? If you have read our iPad Case Keyboard Buying Guide and still need to find out more information, take a look at our guide on the different styles of iPad Case Keyboards.